Happy to announce that our Chicago Chapter is continuing our annual scholarship program that launched last year by Chairman Larry Slavicek. This year, we've approved a $1,000 cash scholarship that will be awarded to one Airborne-qualified Chicagoland ROTC cadet, plus a one year membership in the Assn. Information and applications have been disseminated to more than a dozen area participating colleges. Completed applications are due back next month and then arrangements will be made for the presentation. Publicity to follow. Beginning this year, we've named our scholarship the John E. Hughes Chicago Chapter 82nd Airborne Division Association All-Airborne Scholarship. Yes, it's a long title but deservedly so. Our goal is to recognize John's extraordinary generosity to our chapter and the greater Airborne community over the years. 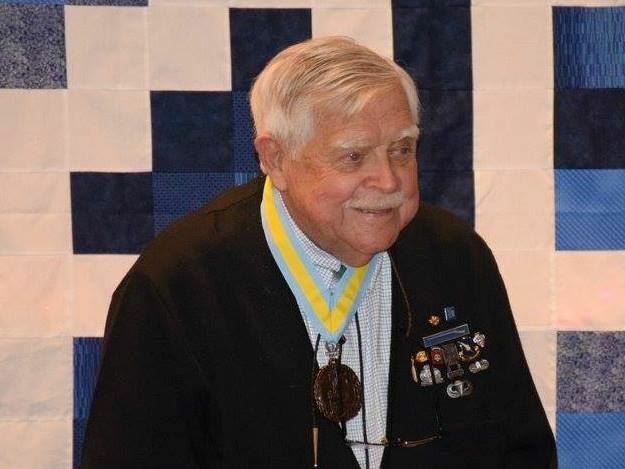 John is a Life Member of Assn, a WWII veteran, both parachute and glider qualified, and served with both the 13th and 82nd Airborne Divisions (513th PIR and 504th PIR, respectively). He as been a successful businessman and also a dedicated philanthropist. Our annual scholarship is named for Chicago Chapter Life Member John Hughes. 2019 is going to be a terrific year for our Chicago Chapter! We have many events planned, including our monthly meetings, a couple of big parades, group outings at some big local events, and more! Click here to download the latest version of our 2019 Calendar. Hope to see you -- Airborne, All The Way! Recently, the 82nd Airborne Division reactivated Alpha Company, 4th Battalion, 68th Armored Regiment at Fort Bragg to bring additional firepower to the All Americans. The unit will deploy USMC LAV-25A2's, armed with a 25mm gun. 4-68 Armor was part of the 82nd Airborne Division from 1968-1984, when it transitioned to the 3/73 Armor and deployed the M551 Sheridan. 3/73 was deactivated in 1997. Read the full story at Army Times website. 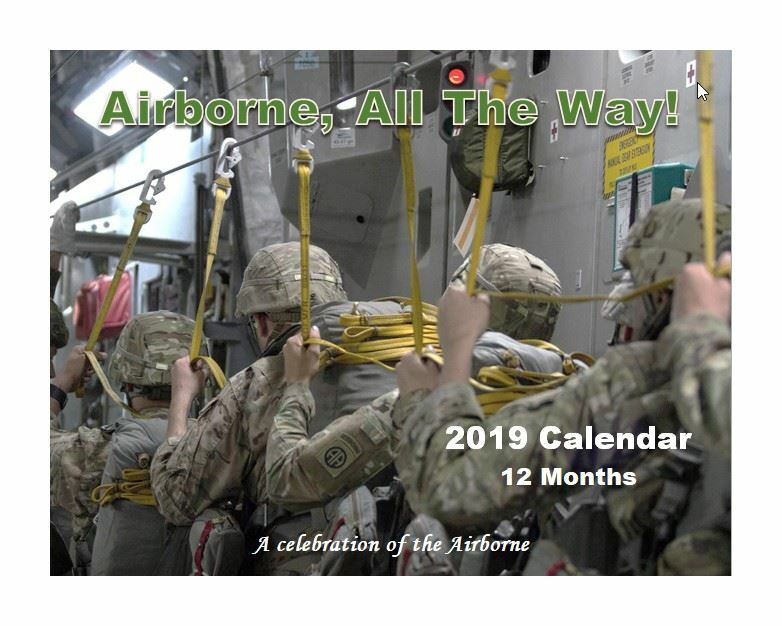 2019 Airborne Wall Calendars now available! Our custom, totally unique 2019 Airborne Wall Calendars are now available for sale on our eBay store. Includes 12 months of Airborne imagery and a monthly calendar loaded with historical Airborne/military dates, plus all the popular holidays and recognitions you're used to. Visit our Merchandise page and follow the link to buy yours today, and get one for an Airborne buddy too! Today, especially, we salute all American men and women who have worn a uniform in selfless service to our country. Happy Veterans Day one and all! Every year many restaurants and other businesses offer freebies and discounts to military veterans as just one way to say "Thanks". Click here to check out this year's offers. AATW! Target is offering a one-time 10% discount for your entire in-store AND online purchase from 4-12 November 2018. Click here to get your coupon and enjoy the discount! Just a friendly reminder that applications for 82nd Airborne Assn Scholarships are due to National by 15 October. The Scholarship grant is available to Former Troopers (with no more than 2 enlistments, within 2 years of their separation date) and dependent children of Veterans and Active Duty Association LIFE members in good standing. Spouses are not eligible. Please also note that the applicant must be intent on pursuing a baccalaureate degree (those pursuing a Masters or higher degree are not eligible), and must gain at least 12 semester hours per semester toward that degree. The completed application must be POSTMARKED at the address listed on the application no later than 5:00 pm Eastern Time on October 15th to be considered for the scholarship. Click here to visit the Assn website for all details or to download an application. AATW! 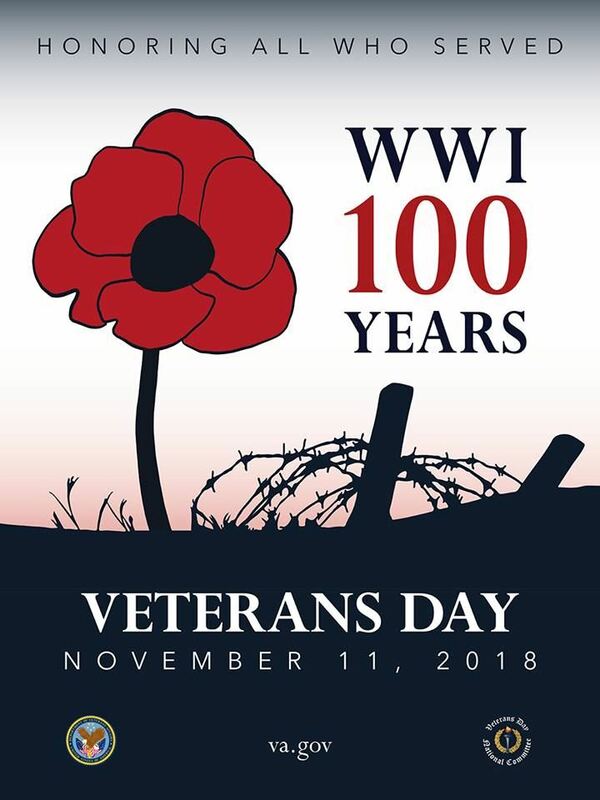 The Chicago Veterans organization is holding their 4th Annual Ball on Saturday November 3, 2018 at the Chateau Del Mar, located at 8301 95th St, Hickory Hills, IL 60457, commencing at 6:30 PM. Chapter member Tom Carter has attended this event previously and reports it as a very good dinner with a great group of veterans.